This update for eS/gS-Series from LightHouse II to LightHouse 3 is ONLY available via this Website download, and is NOT available directly from your MFD when you "Check Online for Updates". This version of LightHouse 3 is for eS and gS Series models only. Due to the size of the software files it's recommended that you visit our site on a desktop computer to download this update. The tables below shows the differences between LightHouse™ 2 R19 and LightHouse™ 3 running on an eS or gS Series MFD. If in any doubt, contact Raymarine Technical Support for advice. Number of Boat Icons 2 – changes automatically with boat type selection. 12 — independent selection. Note: *Available when networked to a RV variant Axiom™ or Axiom™ Pro MFD. NMEA Logging Yes Yes - Record to uSD card. Contact Dealer for more info. Resolves an issue where Rockford Fosgate control via the MFD was intermittently lost. Found an issue where the W3 board could have a missing S.N. preventing it from being s/w upgraded. V3.7 re-programs the S.N. if it is missing. This version of LightHouse 3 is for eS & gS Series models only. If you're running Digital Switching on your eS or gS Series MFD, it is not recommended that you upgrade your system to LightHouse 3. Please speak to the original installer of your Digital Switching service to have your files updated to LightHouse 3 prior to upgrading your system. 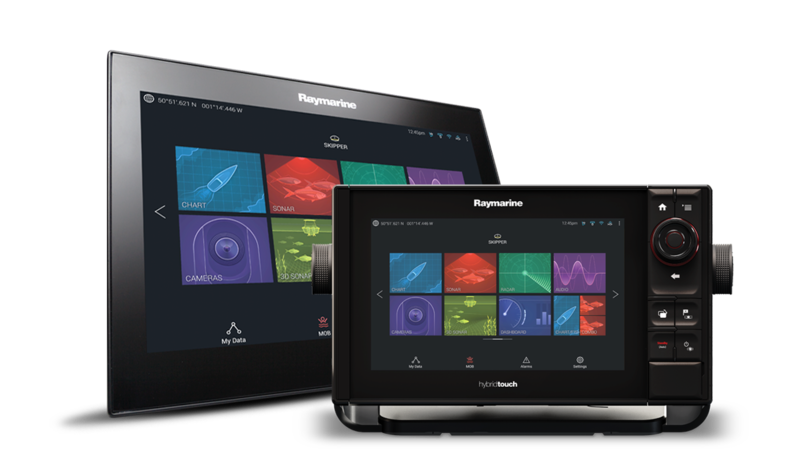 Original Digital Switching installers include, but are not limited to: Raymarine, Trigentic, OEM's, or your Raymarine Dealer.